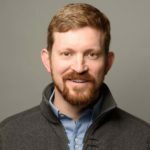 According to the National Fire Protection Association, US fire departments respond to about 15,000 home structure fires involving clothes dryers annually, which kill or injure over 400 people per year (with $225+ million in property damage). The biggest problem is that you generally only view the front and sides of the dryer. Unfortunately, it’s the business end of dryers that can cause lots of trouble. When was the last time you even thought to look at the backside of your dryer? Unless you’re completely OCD, we already know the answer (never). Is your clothes dryer an accident waiting to happen? Check out five types of fire hazards (and easy solutions). Unusual? No, this is a very common issue. 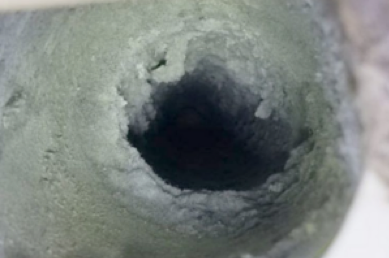 Even with the best dryer screens, lint can accumulate inside a vent pipe. Lint is flammable; excessive lint is a fire hazard. Check and clean your dryer vent pipe! Vinyl is a no-no (flammable). Duct material should be metal, not vinyl. Why, you ask? Vinyl is flammable! Use smooth galvanized or aluminum. Try not to use metal flex ducting because ribs can trap lint and moisture. There’s a crick in my neck. 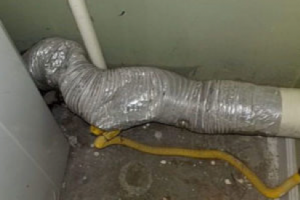 Damaged dryer vent pipes also cause issues. Damaged pipes do not provide adequate venting and can trap lint (fire hazard, remember?). 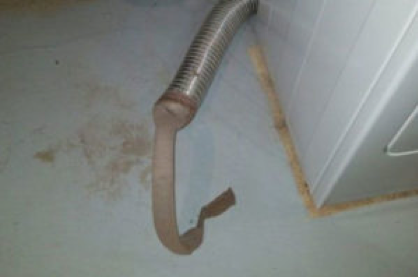 While we’re at it, duct length from dryer to exterior vent should never be greater than 35′; each 90 degree turn shortens the permitted distance by 5′. Replace damaged vent pipes! Lots of dryer vents terminate inside the house. 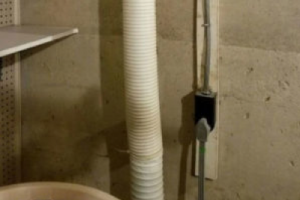 Attic, crawl space, wall cavity, garage – none of these locations is appropriate for venting. Interior venting creates moisture in the house and may cause mold or mildew problems. Inside venting also is a fire hazard. Reroute dryer vents to the exterior! Chock full vent screen nestled under a deck. Any configuration which causes lint build-up is a fire hazard. Including exterior vent screens. 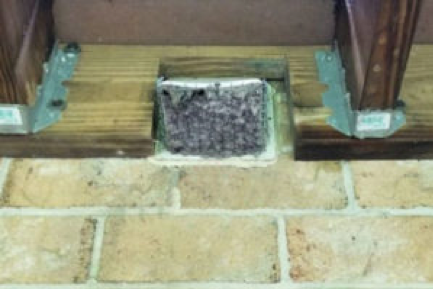 Vent hoods must be in good condition and free of screens. Use vent flaps instead.